As an arts & culture aficionado, Fusebox Festival has long been one of my favorites. I was first exposed to Fusebox and its founder, Ron Berry, through complete happenstance almost a decade ago. I was so impressed by the festival and its projects, I subsequently volunteered as a photographer for several years afterward. 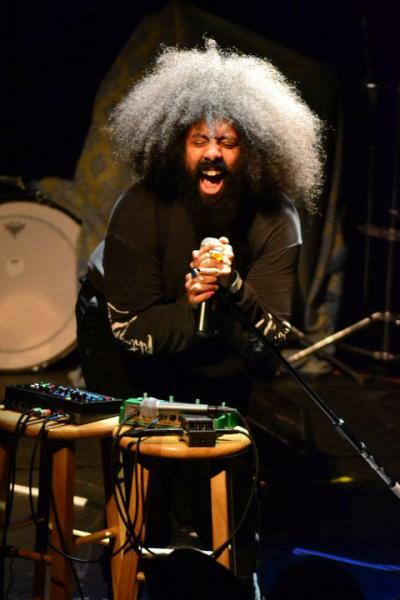 The festival introduced us to the likes of local theatre group, the Rude Mechs, composer and musician Graham Reynolds, visual artist Jules Buck Jones and even the national sensation/comedian Reggie Watts – who is now on The Late Late Show with James Corden as well as in the IFC series Comedy Bang! Bang! The FREE festival will expose you a wealth of talent that won’t disappoint. The 2016 dates are April 6-10. It’s a festival of adventurous artists and projects from around the world working in a variety of different art forms. The festival takes place in various locations around the city. We view the festival as a platform for conversations, explorations, education and ideas. Fusebox is an idea engine. A space where artists and audiences can take risks, ask questions, break rules, blur boundaries, and explore ideas together. It is a platform for visionary works, unabashed play and new ways of engaging with our world.